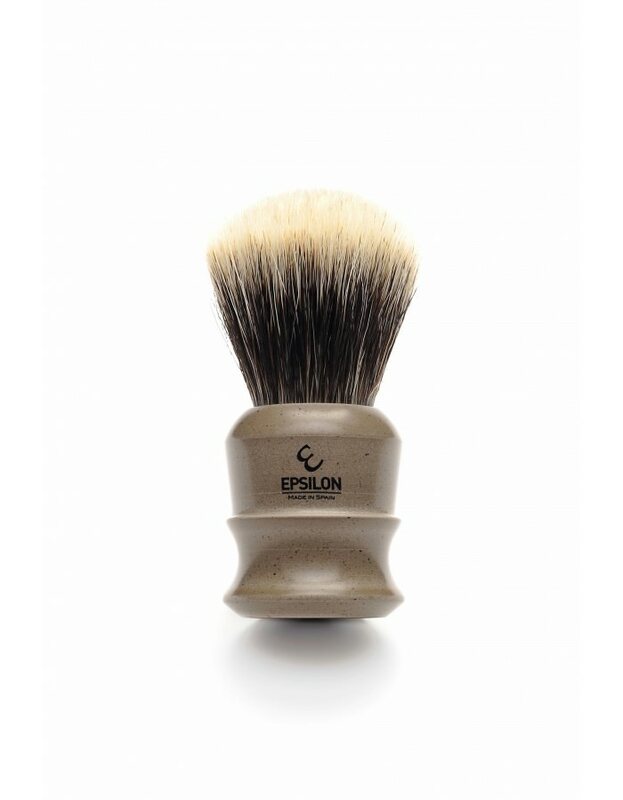 Anyone have any experience with this brush or material? I am looking at it on Gifts & Care and it states that it is a collab with Shavemac. It looks really nice and the handle material seems pretty unique! I have a few Epsilons from Vie-long when Epsilon was first introduced and they are fine brushes. None in that particular handle material mind you, but I remember reading posts of people being impressed with the handle material. That was models made with Vie-long hair and not a Shavemac knot. The handle material looks nice, and I have experience with Shavemac knots of that type and they are splendid knots. The handles on my brushes is quite similar to a Chubby in the shape with some differences. Mostly it has a bit more of a trim and slimmer handle. This one looks unique and a bit more angular. If you're wanting a face lathering brush it should be a nice addition! Most people prefer a bulb shape in a face lathering brush, but fans work well too. The lather flows a bit better and the brush opens more easily. Make sure to apply discount codes for there to get the price off even more!